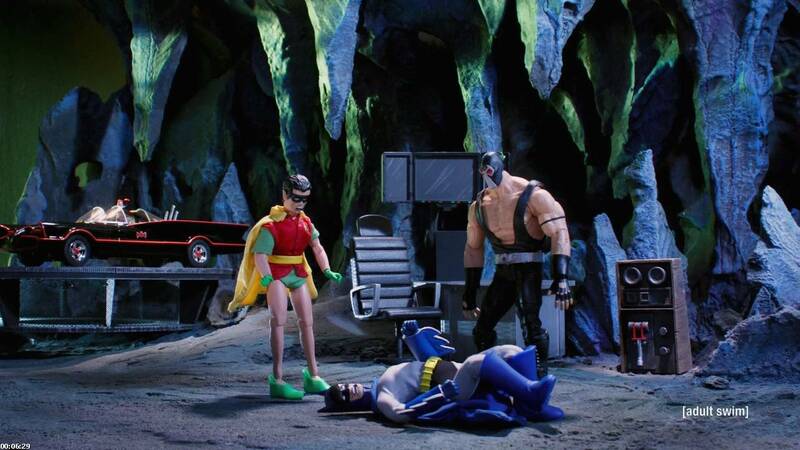 This July, the Robot Chicken television series heads back to Blu-ray and DVD...and this time, the DC Comics universe is at the center of its Emmy Award-winning stop-motion lampooning in the all-new Adult Swim Blu-ray and DVD release, Robot Chicken DC Comics Special. 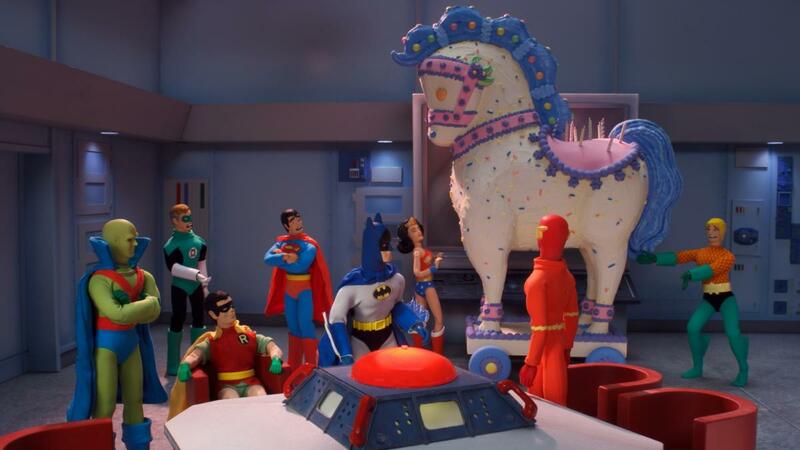 The special, which boasts an all-star cast as well as characters Robot Chicken fans have grown to love, provides a unique take on some of the most iconic superheroes from the DC Comics universe - along with others whose powers can't really be called "super." 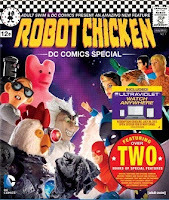 With more than two hours of bonus content created by the special's producers, including deleted scenes, commentaries, outtakes and more, the Robot Chicken DC Comics Special Blu-ray and DVD is a must-own addition for fans of Robot Chicken and DC Comics alike. The special's all-star cast includes series co-creator and executive producer Seth Green as Batman, Robin and the put-upon Aquaman; Neil Patrick Harris as Two-Face; Alfred Molina as Lex Luthor; Nathan Fillion as the Green Lantern; Megan Fox as Lois Lane; series and special writer/voice talent Breckin Meyer as Superman, plus Abe Benrubi, Alex Borstein, Clare Grant, Tara Strong, series co-creator and executive producer Matthew Senreich, series co-head writer/co-executive producer Tom Root, series director Zeb Wells and Kevin Shinick as co-producer, writer and narrator. If you haven't seen Robot Chicken's zany brand of stop motion hilarity, then you should correct that mistake right away. The show routinely parodies movies and television shows and jokes hit more often than they miss, although part of that is because of the rapid-fire nature of the jokes themselves. I think my favorite Robot Chicken specials are the Star Wars ones, because of my life long love of the Star Wars saga, but they are all good. I think Robot Chicken co-creator Seth Green must be my age because we seem to love the same things so I wasn't too surprised that he teamed up with DC Comics to do a Robot Chicken special based on the DC superheroes. The end result of their collaboration is this twenty-three minute episode that is mostly made up of a bunch of short sketches that are linked loosely together by a story about Aquaman's quest for acceptance and respect in the Justice League. Aquaman and his super powers are mocked endlessly by his fellow heroes that includes Superman (Breckin Meyer), Batman (Seth Green), Wonder Woman (Alex Borstein), Green Lantern (Nathan Fillion), Flash (Matthew Senreich), Cyborg (Abraham Benrubi), Firestorm (Alfred Molina), and Martian Manhunter (Seth Green) just to name a few. Of course, you can't have heroes without villains to oppose them and this special is chock full of them, including Lex Luthor (Alfred Molina), Two-Face & Black Manta (Neil Patrick Harris), Brainiac (Matthew Senreich), Captain Cold (Tom Root), Sinestro (Zeb Wells), Mr. 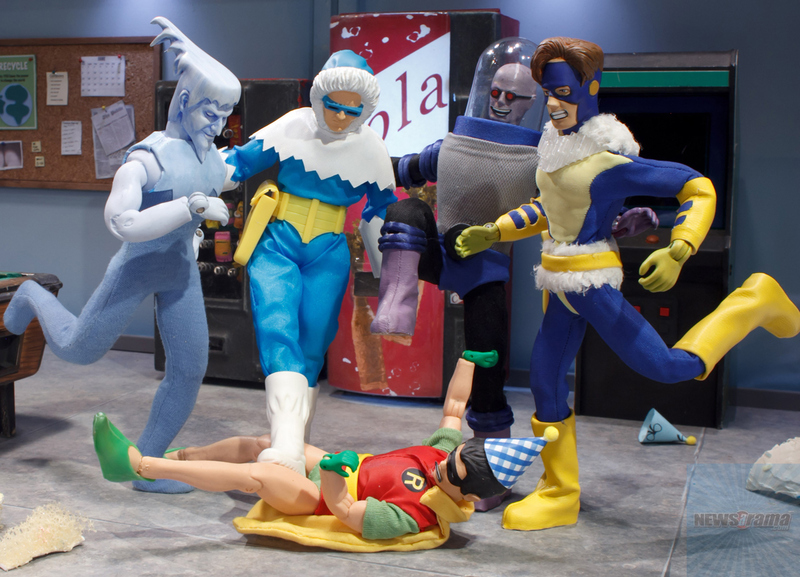 Freeze (Nathan Fillion), The Riddler (Paul Ruebens), Solomon Grundy (Abraham Benrubi), Mirror Master (Breckin Meyer), and nore who plot their evil deeds in a dead accurate reproduction of the Legion of Doom from the old "SuperFriends" cartoons. Most of these sketches are pretty funny with some of them being a lot funnier than others. My favorite one was watching Batman, Superman, Green Lantern, and the Flash go to a bar to try to pick up women. It's hilarious because not only is it written well, but also because the humor is based on their character traits that are true to their source material. Maybe that shouldn't be a surprise since DC bigwig Geoff Johns not only produced this along with Green and Senreich, but he also helped write it too. A running gag with Batman being repeatedly brutalized by Bane is also funny and that also came straight out of the comics. In fact, my only complaint about this set is the fact that it's only one short episode with a lot of extras. 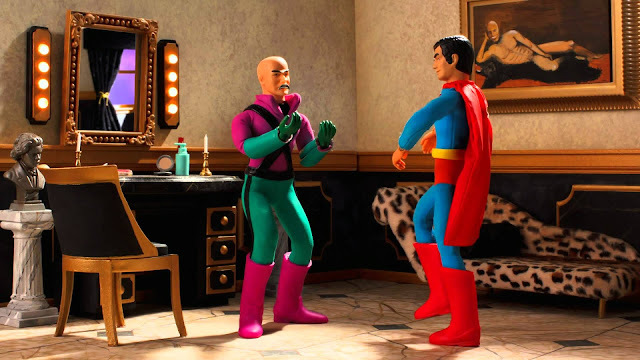 I know that Robot Chicken has done other DC superhero skits, so I don't know why those couldn't have been included to give the viewer more bang for his buck, but the extras do help ease that shortcoming. 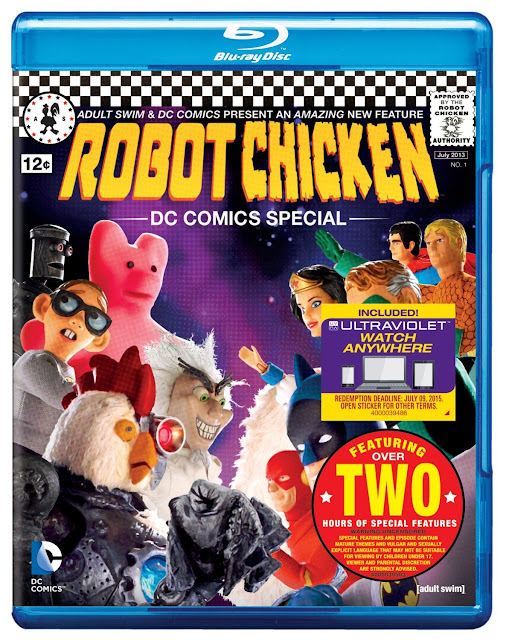 If you love DC superheroes or Robot Chicken (or both), then you should pick this Blu-ray up for some laughs! This 1080p (1.78:1) transfer looks decent but it suffers from some minor aliasing and banding issues that pop up throughout the duration of the episode. Other than that, the colors are bright and varied and there's some good detail on display. Black levels look suitably dark and contrast is acceptable. This isn't the strongest looking transfer, but it's decent and it works well enough for the material. 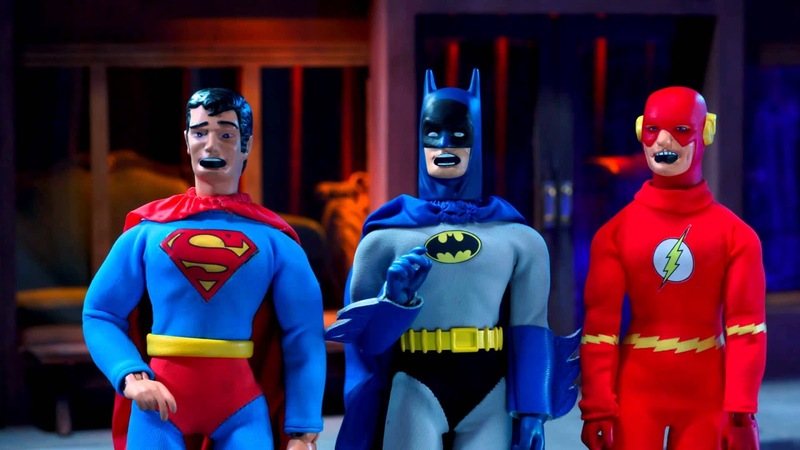 Robot Chicken - DC Comics Special's Dolby TrueHD 5,1 mix is also kind of disappointing but sufficient enough for this program. This is a front channel heavy mix that doesn't offer a lot of activity to drift to the rear channels. Despite that drawback, the dialogue from the mix is clear and easy to understand and the show's music also comes through well. While I would have preferred a more enveloping mix that would have taken advantage of all of the channels, this is still a decent if underwhelming mix. These extras are what's going to make the difference on whether or not you will be willing to buy this Blu-ray for a single episode. If these extras appeal to you then it makes it an easier sell, but if you have no interest in them, then you might want to take a moment to decide if the cost is worth one episode. They are all in high definition. Writers' Commentary - We get to hear a track from the writers themselves including: Geoff Johns, Tom Root, Ed Wells, Mike Fasolo, Matt Beans, and Kevin Shinick. They talk about the sketches and discuss just about every aspect of putting it together. Actors' Commentary - Even more entertaining was the actor commentary with Seth Green, Matthew Senreich, Abraham Benrubi, Alfred Molina, and Tom Root who joke around and give each other a hard time. It was also interesting to hear Alfred Molina talk about growing up loving comic books and Spiderman 2 and how it applied to this special. This track was pretty funny to listen to. The Making of the RCDC Special - This is a ten minute look behind the scenes as we watch how the special came together, from the animation to the voice work and more. It's always interesting to see how these efforts are made and I enjoyed this brief look. Chicken Nuggets - This option allows the viewer to access a sketch by sketch commentary when a chicken appears on screen and is selected. Once selected, the special is paused and a full screen video commentary begins that includes: Seth Green, Matthew Senreich, and Geoff Johns. What's cool about these commentaries is the fact that they last longer than the sketches themselves so you get a lot of info about them. Cut Sketches - There's also a collection of deleted scenes that were cut for time. 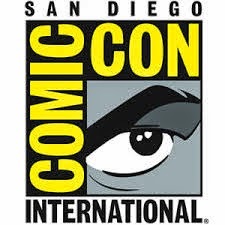 They include: "Deadman Waits for No One," "Teen Titans Prom," "Ice Cream Headache," "Booster Gold's Politics Are... Complex," "Joker Phone Call," "Black Manta Helmet," "Etrigan Orange Rhyme," "Hawkman Birdman Elevator," "Hourman Runner," "Red Tornado," "Captain Boomerang Gives Up," "Mister Terrific Golf" and "The Spectre Gets a Smartphone." Most ofl them deserved to be cut, but a couple of them made me chuckle. DC Entertainment Tour - Are you interested in a personal tour of DC Entertainment? I know I am and it was pretty cool to see Geoff Johns give a tour to Seth Green and his cohorts. I especially liked seeing the DC Comic library and the toy room where they all got to pick whatever toy they wanted. There's also some other cool things to see like a life size Batman figure guarding a door. I also learned that someone there has a job where all they do is play video-games betas which sounds good to me. RCDC's Aquaman Origin Story - We watch Seth Green, Matthew Senreich and Geoff Johns and others argue about who came up with the idea to focus on Aquaman. You can skip this one. Stoopid Alter Egos - This is a waste of time as all it is is a quick look at the Robot Chicken staff going to a costume party. This is a great extra for those employees but it means nothing to the rest of us. Outtakes - Two minutes of people screwing up their lines. 5.2 Questions - Seven questions are answered by Seth Green, Geoff Johns, and Matthew Senreich. It looks like this was part of an online publicity stunt. I really enjoyed this special and from the extras it sounds like more of them are on the way. While I wish that more of the Robot Chicken's other DC sketches from the television show were included to justify the price of this Blu-ray, the extras included go a long way to making the purchase more palatable. Still, this is a lot of fun and fans of the show will undoubtedly love it!